Sorry about the lack of updates, real world has been gobbling up a lot of my time. Things are still happening though. Good things. I just finished up with GlennCon, a little three day gaming convention I put on with generous support from my place of employment, The Board Game Barrister. 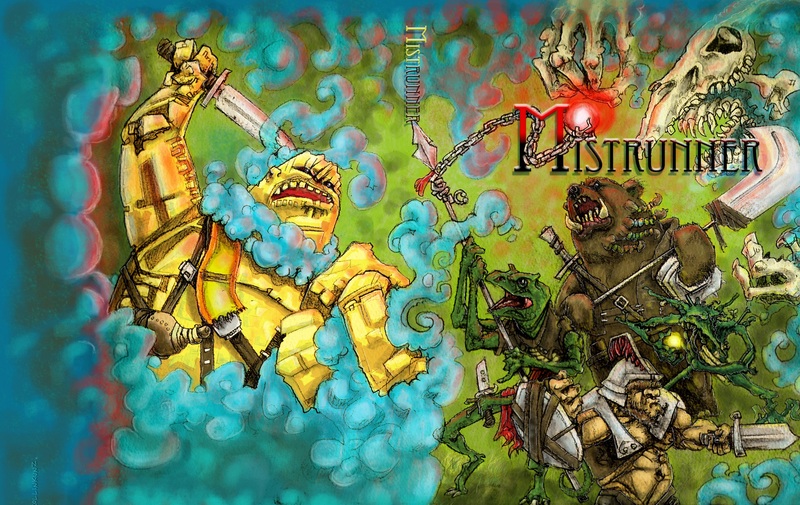 I ran two great sessions of Mistrunner. I hadn’t run a game in almost two months, and though it took me a few minutes to shake off some of the rust, people had a good time. At least they seemed to, most of the players ended up buying a copy of the book (in fact the only ones that didn’t were those that already have a copy). I am also in the process of working on two supplements. 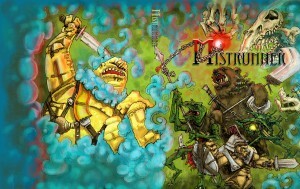 The first is an introductory adventure for new characters. I am making this in part with MKERPG for their monthly video series MKERPGTV. They film gaming sessions, with the hope of promoting gaming and possibly introducing people to new games as well. This should be finished in mid to late August, with a purchase date of around September 1. The second project is a book of perks. Perks will be little extras you can take whenever you level up a skill. They will give a little more variety to your character, as well as give some more practical uses for some of the lesser desired skills. For example, the Dancing skill has a perk called Dance of Steel. That perk will give bonuses during combat. This is proving to be a much bigger project than I originally imagined. I am doing 5 perks for every skill, which translates into about 400 perks. What I thought was going to be a 10-15 page mini expansion is turning into a 40-50 pages supplement. Hopefully this will be done in October. That is all I have for right now, but I promise to be more frequent with updates, including a few little bonuses that I will be throwing up for the Mistrunner faithful. Thanks, and eve if you aren’t playing Mistrunner, make sure you’re playing something.